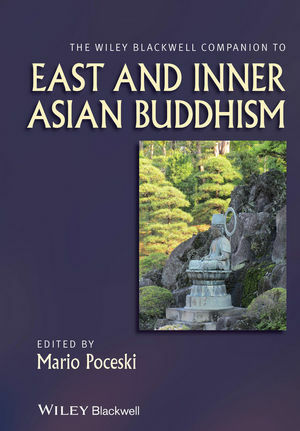 The Wiley Blackwell Companion to East and Inner Asian Buddhism combines outstanding contributions covering Buddhism as it developed and is practiced in this region. These newly-commissioned essays provide fresh scholarly perspectives on a wide range of concepts, texts, and practices. Mario Poceski is Associate Professor of Buddhist studies and Chinese religions at the University of Florida. He has spent extended periods as a visiting researcher at Komazawa University, Japan, Stanford University, National University of Singapore, and University of Hamburg, Germany. A specialist in the history of Chinese Buddhism and a recipient of several prestigious fellowships, his numerous books include Ordinary Mind as the Way: The Hongzhou School and the Growth of Chan Buddhism (2007) and Introducing Chinese Religions (2009).